3. For a D.C. generator when the number of poles and the number of armature conductors is fixed, then which winding will give the higher e.m.f. ? 11. Which of the following generator will have negligible terminal voltage while running on no-load ? 13. Two generators are running in parallel. 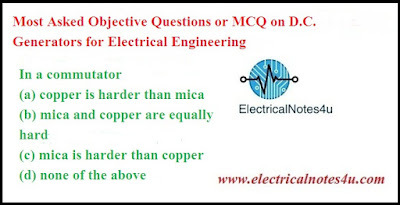 One of the generators may run as the motor for which of the following reasons ?